Investment Savings Bank offices in Altoona and Duncansville offer conventional mortgages. Discover the benefits that continue beyond the closing, by speaking with one of our banking professionals. 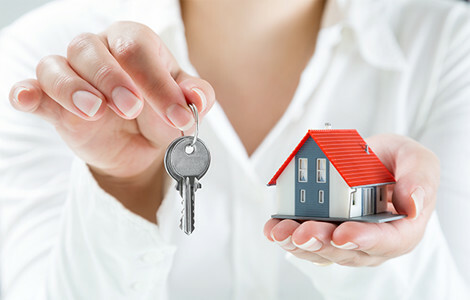 Mortgage Loans are available to any person 18 years or older. Subject to our Lending Policy and Residential Loan Underwriting Standards. Are optional at the bank’s discretion for all assessments due to property taxes and hazard insurance, and where applicable, required for flood insurance and private mortgage insurance. FREE – Available upon request from any mortgage loan department employee. May be made by phone, FAX, mail, or in person. Fixed rate mortgage 5%, subject to Private Mortgage Insurance approval. Adjustable rate mortgage 5%, subject to Private Mortgage Insurance approval. 97% LTV subject to Private Mortgage Insurance Approval for Non-Conforming Mortgages only. Primarily but not limited to Blair, Bedford, Cambria, Centre, Clearfield, Huntingdon counties. Conventional mortgage loans are available in Central Pennsylvania from Investment Savings Bank. ISB mortgage lenders offer both fixed rate and adjustable rate mortgage loans for purchases, construction and refinancing existing mortgage loans. All ISB loan approval decisions are made in Altoona, and all our loans are serviced here as well. That means that locally oriented ISB-ers are reviewing, and servicing your mortgage loan from the very first inquiry up to your last payment. First-time homebuyers or existing experienced homebuyers can rely on ISB’s lending department for the knowledge to guide them through the entire home purchase process. ISB’s mortgages are not only for purchases and construction of a primary residence, but also second homes or rental property real estate. ISB mortgages are also for debt consolidation, vacations, home improvement & repairs, educational expense or to potentially lower the interest rate you currently pay for your mortgage. Certain real estate related expenses, such as flood insurance or private mortgage insurance (if either is required) must be escrowed by ISB as part of your mortgage payment. When you’re searching for that new home and need to know what amount you can afford to borrow and qualify for a mortgage, what costs you will incur, just let our knowledgeable staff in our lending department help guide you through the process. All ISB loan decisions are made locally and we service all the mortgage loans we make – you do your mortgage business with ISB, even after you close. Just visit our Altoona or Duncansville office, or contact us by phone, or email, anyway – we’ll move you in the right direction. Payment does not include amounts for insurance and taxes. Actual payment obligation will be greater. (1) APR based on $75,000 loan amount. The actual APR may vary.